Lisabeth graduated with a Masters of Chemical Engineering from the Technical University of Dresden, Germany in 2014. 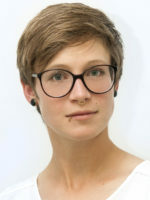 On completion of her Masters she worked as a research assistant at the Fraunhofer Institute for Ceramic Technologies and Systems (also in Dresden) running experiments and simulations with Lithium-Ion-Batteries. Now as a PhD student in the oil and gas industry she has discovered a completely new research field and looks forward to expanding her knowledge in this area. Lisabeth is working on produced water analysis with benchtop 1H NMR and is developing an automated system to measure oil in water for subsea applications.